Tubby bunny? He may be getting too many treats or the wrong nutrition. The correct diet is the most important health benefit you can give your rabbit. It helps his teeth, his general well-being and keeps him happy. Call to discuss your rabbit’s nutrition with one of our team. Rabbits are herbivores. It is the owner’s responsibility to ensure that the rabbit is fed an appropriate high fibre diet. The fibre helps to wear down their teeth and promotes healthy gut function. High fibre diets provide environmental enrichment. 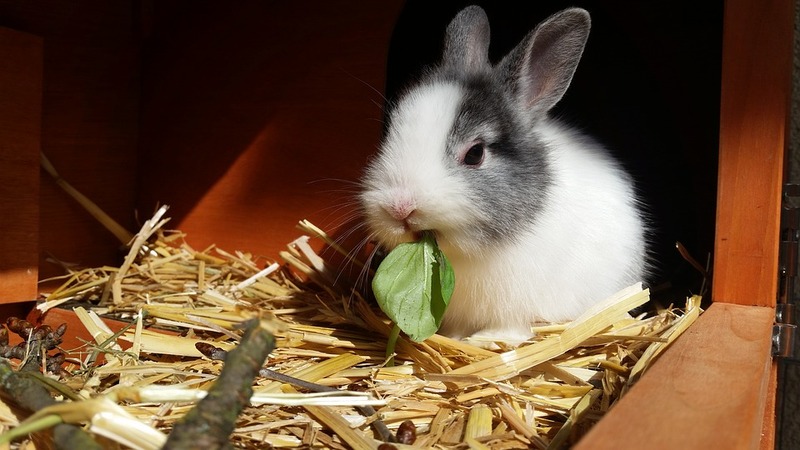 Inappropriate diets can cause obesity, teeth and gut problems in rabbits. Their diet should consist of roughly 90% hay or fresh pick grasses and 10% green veggies (e.g. broccoli, cabbage, parsley, watercress, celery leaves and kale) and wild plants (e.g. chickweed, bramble, raspberry, blackberry and strawberry leaves and dandelion). A small amount of specific rabbit food (pellets etc) can be given each day but limited to around a tablespoon.